Your main goal in photography is to achieve correct exposure. But what is exposure? This is Part 3 of the series Learning Photography Faster Than Ever. You can use this link to read Part 2 and that one to start with Part 1. Your main goal in photography is to achieve correct exposure. But what is exposure? I will explain this topic in a very simple way. For all of you who don’t like to read I made a short video which you can watch here or on Youtube. Imagine you want to fill a glass with water. Opening the faucet corresponds to pressing the shutter button on your camera. The water is an allegory for the light that goes into the camera. The more you turn the tap on, the more water flows into the glass. When photographing, the faucet corresponds to the aperture. The more you open it, the more light will hit the sensor inside the camera. To prevent the glass from overflowing, you determine how long the water runs out of the tap. This also works when taking pictures. You decide how long the light is allowed to hit the sensor. You can also decide whether you want to fill the glass up to half or completely. This is where the discussion about “good” and “bad” exposure begins. For me, there is no such thing as good and bad exposure. Such a restriction would steal most of my artistic freedom. If we determine that a good exposure corresponds to a water glass filled to the brim, you simply regulate the water supply until this state is reached. If you turn off the tap too early, the glass is only half full or less. In photography we call this underexposure. If you close the tap too late, the water will overflow. This corresponds to overexposure. But what if you purposely let the water overflow to achieve a special artistic effect? Welcome to High-Key-Photography! The same thing works the other way round. In Low-Key photography, you knowingly fill the water glass only halfway or less. There are also scenes where you want to hide distracting background in order to emphasize the main subject. For example, a barrel in a dark wine cellar. You have to break common rules for that. But do not break the rules if you want to sell stock photos. Microstock agencies like iStock and Shutterstock only accept images with balanced exposure. The important thing I want you to remember is that it is up to you as the artist. You may want your photo to be a bit dark or bright, that can create some interesting and creative shots. For beginners it is good to know the rules, but do not take them too seriously. Next time, I will show you exactly how you can use aperture to control the amount of light. This will help you to create much better photos. By the way, if you need some deeper advice, a personal mentor may guide you through all aspects of photography. 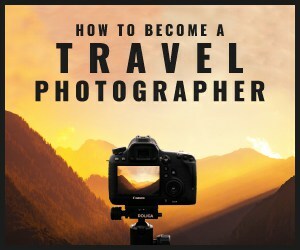 In our Travel Photography Masterclass you can look over the shoulder of a professional photographer who has worked for the BBC, National Geographic and many other well-known media. Just click on this link for more information. Previous PostHow does a camera work?